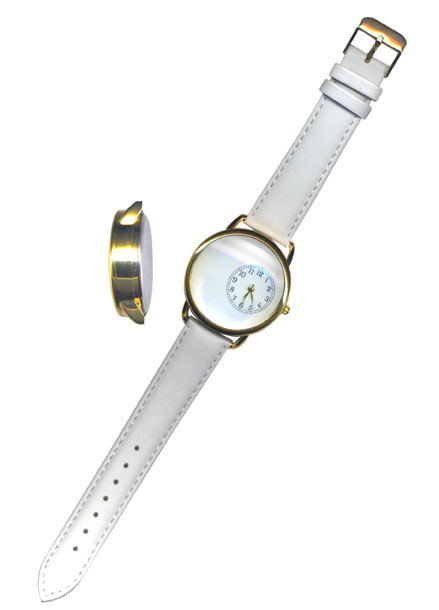 Wristwatch with Paintable Dial has threaded cover with crystal clear lens. Watchband is white leatherette and metal case has bright brass finish. Bright brass plated metal case is 1-1/2" in diameter and 1/2" thick. Paintable white dial is 1-1/4" in diameter. Inside depth of case is approx. 5mm making it ideal for embellishments like rhinestones, small seashells, charms and more. White Leatherette Watch Band fits wrists from approx. 6-1/4" to 8" in cicumference. 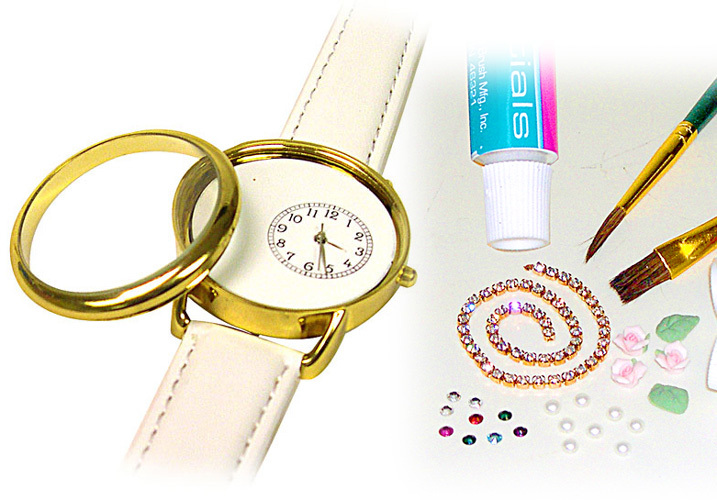 NOTE: Please read GUIDELINES below before decorating watch.